Its now September which can only mean one thing. Its officially autumn. I love almost everything about autumn. Especially when it comes to autumnal clothing. 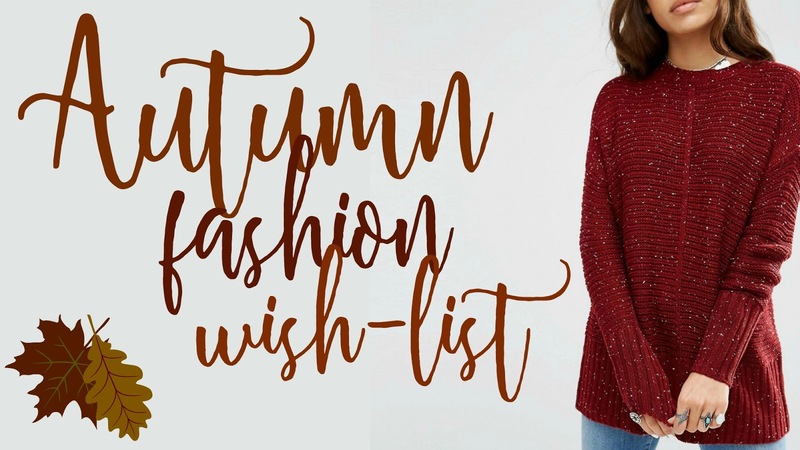 And, for that reason I thought it would be the perfect time to share with you, my Autumn Fashion Wishlist! 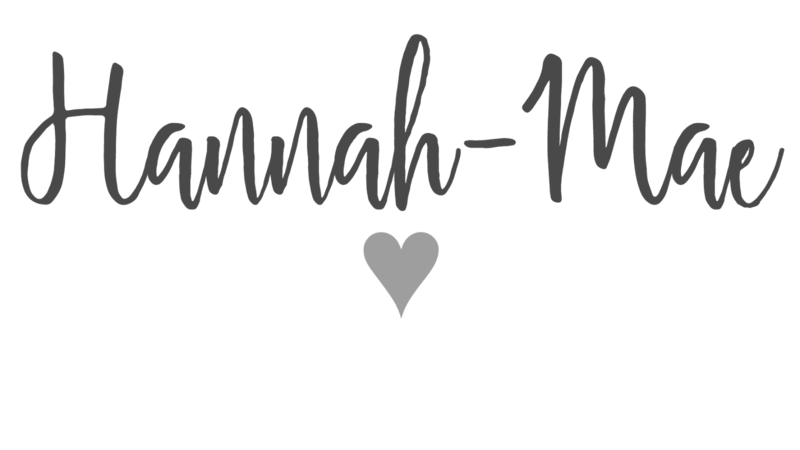 (I'll leave links below the images). With any outfit in the autumn time I love bringing in deep burgundy colours into my outfits, to give it a warming touch. So to start with I came across this long cable scarf in burgundy on ASOS by Reclaimed Vintage. It just looks so warm and cosy! And must for both autumn and winter here in the UK. I thought it would look good partnered up with the ASOS cord denim cropped jacket with Borg in a rusty colour. I've got a blue denim jacket with similar inside lining from TopShop and it is literally my favourite go-to jacket for this time of year. Plus the colour is to die for, the rustic colours are just lush!! 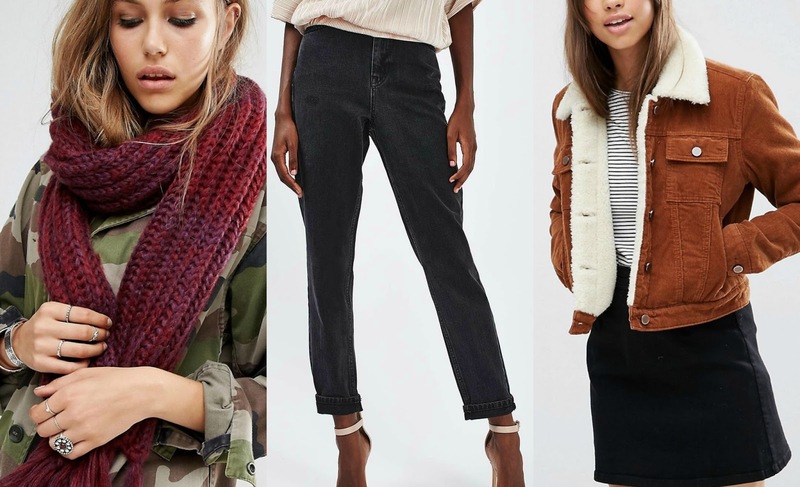 Final item which looks good with these two is classic washed black mom jeans from TopShop. I've got already got two pairs of mom jeans but you can never have too many pairs of jeans, right? ASOS, Scarf. TopShop, Jeans. ASOS, Jacket. Another item I am loving at the moment are warm wooly jumpers. There is no better feeling than throwing on an over-sized jumper on chilly days in autumn and winter. 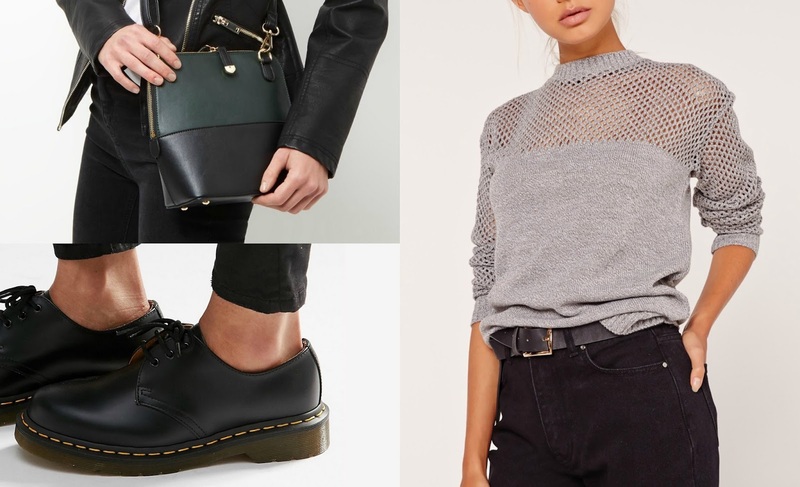 I came across this grey open stitched jumper on MissGuided and its just perfect, as you can dress down with jeans and trainers or go smarter to be worn with boots. For £15 it's quite a good bargain. Shoes and bags are essentials to finish off any autumnal outfit, I really liked the cross body bag in dark green from New Look as its probably the perfect size for using it out and about. They also did in deep red but I preferred the green. My final item I am really really loving is Dr Marten original black shoes! I love wearing my Dr Marten boots as once they are broke in to they are super comfy and well worth investing in. New Look, Bag. Dr Marten, Shoes. MissGuided, Jumper. 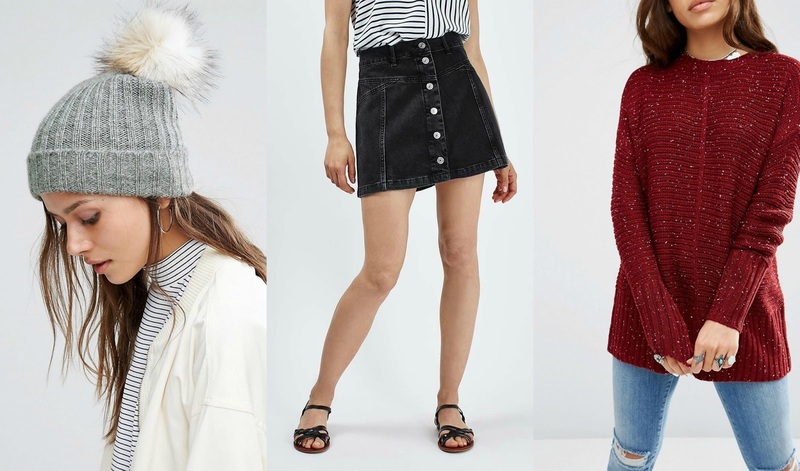 ASOS, Beanie. Topshop, Skirt. ASOS, Jumper. Well there you have it...a selection of the sort of items I am already on the look out for to wear in the Autumn months. Don't get me wrong, I love summer (I have come to the conclusion that I in fact love every season in it's own way to be honest, as every time a new one comes around I always rave over it) but now it is the end of the summer season, I have to admit that I am incredibly excited for Autumn to arrive, and hopefully I will get my hands on some of the above items (or at least ones similar to them) to make my Autumn as stylish as possible!